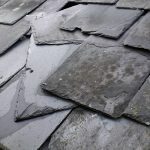 Like many old properties, general wear and tear over time can cause roofs and guttering to deteriorate. 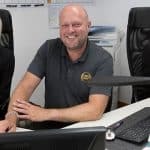 Mr Cheetham from Huddersfield noticed that whenever it rained, water consistently ran down the outside of the house walls, causing damp to both his and his neighbours properties. After further inspection, DPR roofing engineers identified that the rear elevation gutter was suffering from severe wet rot decay at its junction with the PVC guttering of the adjoining property. Because the guttering was timber, DPR were required too cut a section out, replace it with a new piece of pre-treated timber guttering and then seal it to the neighbours PVC gutter using a fibreglass system.